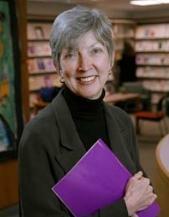 Diane Vaughan is an American sociologist who has devoted most of her time on topics ranging from tension in private life to deviance in organizations. She has attracted a large interest toward her work when she published in 1996 The Challenger Launch Decision. Risky Technology, Culture, and Deviance at NASA which book unveiled the "Normalization of Deviance" within NASA that led to the space shuttle disaster of 1986. After the Columbia crash upon reentry in 2003 she was invited to join the CAIB, the Columbia Accident Investigation Board for which she demonstrated that the space administration did not profit from the first accident and replicated his risk acceptance and slip toward hazardous operations. Diane Vaughan graduated from Ohio State University and was Post Doctoral Fellow at Yale University. Formerly a Professor of Sociology at Boston College, Boston, she is now Professor of Sociology and International & Public Affairs at Columbia University New York.